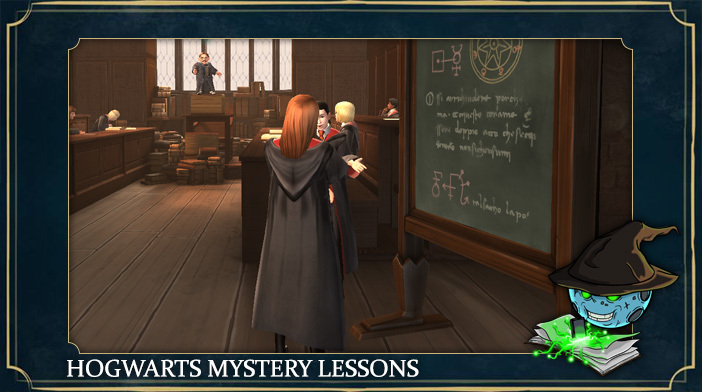 Hello everyone, welcome to our Lessons section for Harry Potter: Hogwarts Mystery. Here you can find the information about all of the lessons you will attend at Hogwarts, and all the magical skills you’ll be able to learn. This section is divided into years, so for each year of your studies, you can check what lessons you’ll be able to learn. Also, every lesson has a detailed explanation and some of its applications as well. As you progress through the story, more classes will be unlocked with each year of your studies. At the start of year one, only three different classes will be available. Each new year will bring an additional class, and eventually, you'll have many various lessons to attend and a lot of exciting things to learn in order to become one of the most powerful witches/wizards ever to attend Hogwarts.